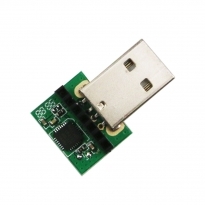 The function of kit DAC02 is to convert UART signal to USB signal and provides the interface for customers to configure the settings of modules through PC software tool. DAD06 is a testing board designed for lora sx1262 module DRF1262G. 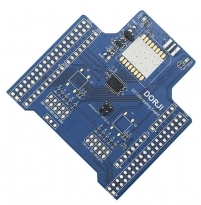 It can be used together with development Arduino UNO or ST Nucleo-L053R8 to test the distance of DRF1262G module or make quick re-development. Customers can download corresponding codes from DORJI website to make quick start. DORJI cooperates with its stragetic partner in antenna design and production and provides smart SMA antennas with different length and degree in order to meet the rigid requirements from various applications. According to degree, antennas can be divided into 90 degree (bended) antenna and 180 degree (straight) antenna. In antenna length DORJI offers 100mm, 64mm, 47mm and 45mm for selection. All of antennas on this page are only for ISM frequency bands below 1GHZ. DORJI cooperates with its stragetic partner in antenna design and production and provides smart SMA antennas with different length and degree in order to meet the rigid requirements from various applications. According to degree, antennas can be divided into 90 degree (bended) antenna and 180 degree (straight) antenna. In antenna length DORJI offers 100mm, 64mm, 47mm and 45mm for selection. 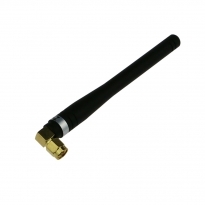 868Mhz (DAA086SA047S), 915Mhz (DAA091SA047S) and 2.4GHz (DAA240SA047S)antenna with the same dimensions are all available. DORJI cooperates with its stragetic partner in antenna design and production and provides smart SMA antennas with different length and degree in order to meet the rigid requirements from various applications. According to degree, antennas can be divided into 90 degree (bended) antenna and 180 degree (straight) antenna. In antenna length DORJI offers 100mm, 64mm, 47mm and 45mm for selection. 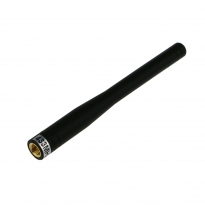 868Mz (DAA086SA045N), 915Mhz (DAA091SA045N) and 2.4GHz (DAA240SA045N) with the same dimensions are also available.